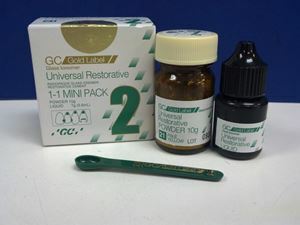 GC’s quality dental care products make a major contribution to people’s health. As a dental product manufacturer of global standing, GC Corporation constantly seeks to produce original products that are environmentally friendly as well as patient friendly and going a step ahead of patient’s needs, while at the same time taking great care to minimize the impact of manufacturing processes on the environment. 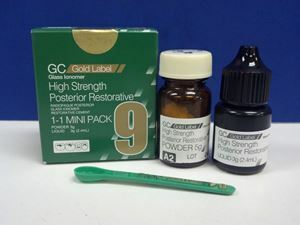 High Strength Radiopaque Posterior Glass Ionomer Restorative- A high strength strontium-based glass ionomer restorative providing all the properties of genuine glass ionomers with physical properties strong enough for use in posterior teeth. 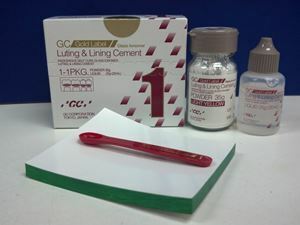 GC Fuji I, a glass ionomer luting cement is characterized by a strong direct bond and superior marginal seal.GC Fuji I minimizes microleakage and bonds in a wet field for simple cementation. 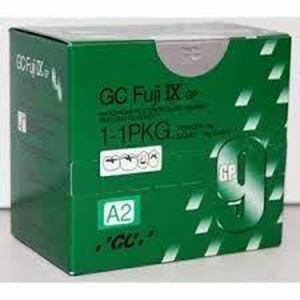 GC Fuji I is indicated for the final cementation of crown and bridge restorations.